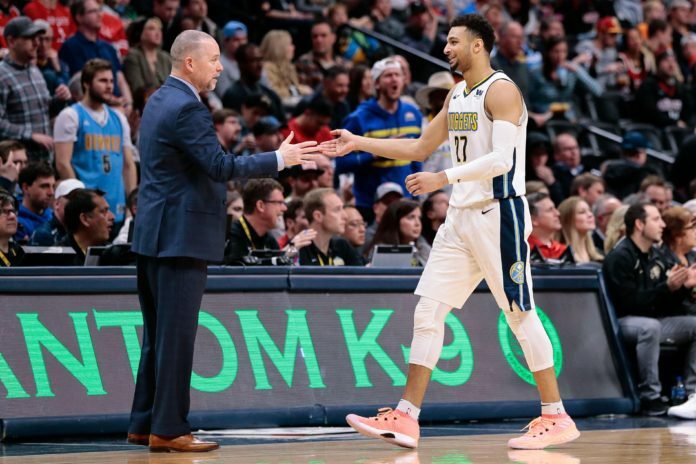 The Denver Nuggets culture has been on the rise since the arrival of head coach Michael Malone and a number of subtractions this offseason could create an even greater change for one of the NBA’s up and coming organizations. You could almost call it “A New Day,” version 2.0. This offseason, the Nuggets have weeded out the old and inserted the new. On the Nuggets current roster, they only have one player over the age of 30, Paul Millsap, and only four players — Millsap, Trey Lyles, Mason Plumlee, and Isaiah Thomas — have participated in the postseason. With the salary dump trades of Wilson Chandler, Kenneth Faried, and Darrell Arthur, the times really are changing for the Nuggets organization. Gone are the times of veterans lining the Nuggets bench, and in are the young players of the future. All three of Chandler, Faried, and Arthur were useful during their last three seasons as members of the Nuggets. Even when all three were injured or not playing, they still made impacts as leaders for the young Nuggets roster, especially Arthur. Both Chandler and Faried seemed poised to move on, but Arthur’s situation is much different. Arthur is a player that the Nuggets would love to keep around because of his leadership, but his salary cap hit for next season made him an expendable piece for the Nuggets moving forward. Nuggets President of Basketball Operations Tim Connelly did what was best for the franchise moving forward, but losing Arthur undoubtedly leaves a missing piece in Denver’s locker room. Darrell Arthur is who Malone noted has stepped up as a leader. Arthur went to Malone this morning and said that he thinks Faried should play tonight. That's exactly what happened. Arthur is so selfless. A lot has changed in three seasons for the Nuggets, who have moved on from veterans like Mike Miller, Jameer Nelson, and Richard Jefferson in addition to Arthur, Chandler, and Faried. The Nuggets roster has had a ton of turnover during coach Malone’s tenure, but now Denver will not have many veterans occupying any of their fifteen roster spots. 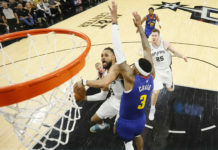 Instead, players like Jarred Vanderbilt and Monte Morris have been added to the Nuggets long-term plans and are on the full-time roster. To put the Nuggets roster change in even greater perspective, the teams longest tenured player is Gary Harris, whose going into his fifth season with the franchise, with Will Barton not too far behind him. None of the Nuggets current players had to endure the Brain Shaw era, except for Harris and Barton, which bodes extremely well for the franchise moving forward being that every player on the roster has had same coach during their time in the NBA, coach Malone. That level of consistency is tough to find in the NBA. Just four years removed from a 30-52 season, the Nuggets franchise was in desperation mode after the Shaw era. After the organizations worst season since 2002-03 (17-65), the Nuggets were looking for a new sheriff to run the show, and coach Malone fit the bill. Since the moment Malone walked through the doors at Pepsi Center, the organization has been on the rise. After going 33-49 in 2015-16, Denver’s win total has improved by 13 games and they’ve now missed the playoffs by just one game each of the last two seasons in a brutal Western Conference. Malone and his staff, along with the now-departed veterans, have done a fantastic job establishing a new culture and philosophy around the Nuggets organization. Without as much experience now on the roster, that formula has changed. This leads us to our main point, whose going to be the Nuggets leader next season? With no more Arthur or Jefferson to counsel the team when things go wrong, whose going to fill that void this season? Millsap is the only Nuggets player over the age of 30 which puts him in line to fill the leadership void left by Arthur. After a wrist injury forced him to miss most of last season, Millsap provided Denver a veteran presence on the bench. That is a role he is comfortable with. Millsap’s playoff experience also pays huge dividends to a Nuggets roster looking to make it back to the postseason after a five year absence. If Millsap is able to be vocal and lead by example, he’s the veteran that has the ability to put this Nuggets team over the top and lead them back to the playoffs. Another player who could fill the role as vocal leader could be Nuggets back up center, Mason Plumlee. Just like Millsap, Plumlee has playoff experience and plays with a constant motor on both ends of the court. Plumlee won’t flash you with his scoring ability on the offensive end of the court, but the occasional reverse dunk or creative assist may get the Nuggets bench off their seats. Where Plumlee also makes his money is on the defensive end of the court with his shot blocking and ability to defend the paint. If Plumlee and Millsap grow into those leadership roles, it will go a long ways to filling the leadership gap with the loss of Arthur. One other player that coach Malone challenged to be a more vocal leader is Nuggets starting shooting guard Gary Harris. For Harris, being more of a vocal leader is something the Nuggets star shooting guard touched on when he spoke to Mile High Sports at training camp last year. “Yeah, lead by example and be more vocal. This is my fourth year in the league and I have to keep going to take that next step,” Harris said. Not only was Harris more vocal last season, but he also did a phenomenal job leading by example and putting the Nuggets on his back when the game was on the line. If Harris is able to take another step in the leadership department, it’ll only benefit this young Nuggets roster moving forward. Two dark horses in the Nuggets leadership search are Will Barton and Jamal Murray. With Barton sliding in as the teams starting small forward, it provides him more opportunities to be a leader within the Nuggets first unit. The passion and spark Barton plays with is contagious, and it’s certainly something he’ll bring to the starting lineup next season. Along with Barton, Murray also has the opportunity to grow as a leader within the Nuggets first unit. As the point guard of the future, leadership could be the next step to take Murray’s game from great to elite. 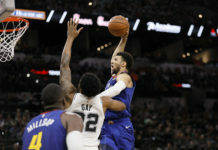 Just like Barton, Murray plays with a constant energy and it is something that could ignite Denver on a nightly basis. Murray gives the Nuggets a guy who can get under the opposing players skin on a n nightly basis. That competitive spirit is something a locker room can get behind, and it’s the part of Murray’s game that could help grow the Nuggets culture even more. 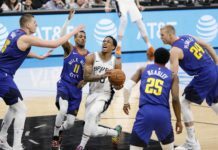 If every player mentioned above steps up in the leadership department, it could pay huge dividends for a Nuggets team looking to make it back to the postseason. After the reconfiguration of Nuggets basketball starting three years ago, it has adapted year-to-year into something even greater. Now, the Nuggets might finally have their culture instilled for many years to come. Here’s to “A New Day,” version 2.0.